Norwood sees further recognition as being named one of Westpac’s 200 ‘Businesses of Tomorrow’. Norwood has been recognised nationally as one of 200 ‘Businesses of Tomorrow’. The award, sponsored by Westpac, recognises and supports Australian businesses with a “clear vision for tomorrow,” pledging to help selected businesses transition and grow in a changing economy. The ‘Westpac Businesses of Tomorrow’ program had an incredible response from Australian businesses, receiving close to 2,000 applications. This demonstrates the overwhelmingly positive response from the business community. Chosen from 2,000 applications, the 200 businesses were independently assessed by Deloitte and chosen by a high profile judging panel including representatives from Westpac, IAG, UNSW Business School, Australian Business Review, Microsoft and Reinventure Group. 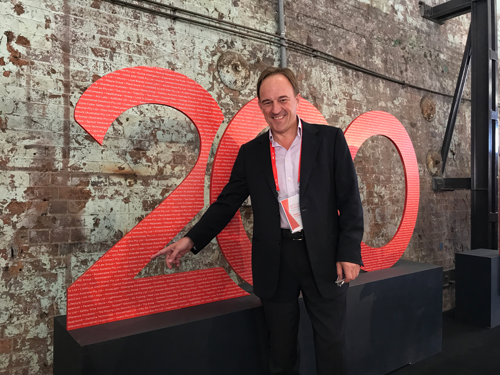 Norwood CEO Paul Ostergaard attends the Westpac Businesses of Tomorrow awards summit in Sydney this month. It is a great honour to be included as a ‘Westpac Businesses of Tomorrow’ award recipient for 2017. It provides recognition of all the hard work the team has put in to execute against our strategy of opening up new and valuable SaaS-based telecommunications service “Blue Ocean” opportunities that leverage our innovative and unique products and services. To be recognised alongside brands as diverse as Concrete Playground, Droneshield, Cubbi, and Yaru Water is a privilege. I was delighted to be able to attend the awards summit in Sydney to listen to the inspiring guest speakers and to network with the cream of Australian entrepreneurial talent.